The proposed Sino-Russian pipeline across the Ukok plateau has generated controversy (although, arguably, not much publicity) since it was first announced back in 2011. The bald facts of the matter are that Russia, in the shape of Gazprom, have immense oil and gas reserves and China represents a large and growing market for those products. The two countries share two borders, either side of Mongolia, which they enclose. 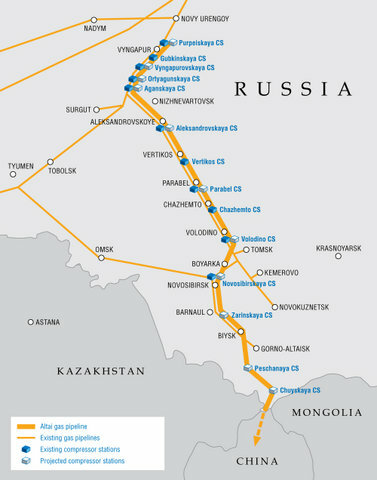 The westernmost of the borders is the most direct and, therefore, cheapest way to move the product from the producer to the consumer so, naturally, Gazprom wants to build a pipeline across it (above ground, in case you were wondering). The thing is, this 54km international border also marks the northern boundary of China’s Kanas Nature Reserve, which marks the southernmost portion of the Ukok plateau, most of which is in Russia. The Kanas reserve is ecologically important in that it’s one of the few remaining truly wild places in China. It abuts the Altai Tavan Bogd National Park, in Mongolia, the Katun State Nature Preserve, in Russia, and the Katon-Karagay National Park, in Kazakhstan. Together they form probably the largest (supposedly) protected area in Central Asia; crucial for the free movements and migrations of its wildlife. Moreover, the convergence of the modern borders of China, Russia, Mongolia and Kazakhstan in this area is illustrative of its probable long-standing marginality. These days it is an incredibly sparsely populated region that was designated a UNESCO World Heritage site in 1998: it is a critically important habitat for several globally endangered species and is probably the homeland of the early Iron Age Pazyryk culture. Historically, the free movement of the people in the region has also been important and, regardless of modern borders, it’s presently principally inhabited by Kazakhs. Today, the first assessment of the archaeological impact of the pipeline has been released by the Altai State University and, predictably, it highlights the kurgans that will be destroyed by the pipe construction. These Scythian and Pazyryk monuments are internationally famous and important – ‘Princess Ukok’ remains the subject of a repatriation suit and re-examination of the kurgans continues to fuel debate and shed new light on areas such as the development of human-animal relationships, ideology, cosmology and social structure. Any report which helps to throw light on this subject and bring it to the world’s attention is a good thing. I am, however, a little disappointed but not at all surprised by the focus of this report on the region’s large and obvious monuments. Monumental archaeology has long been a focus of Russian prehistoric research; with a bit more effort, though, we can find out so much more about the lives of past inhabitants in the region by looking for different kinds of sites and this too, like the natural environment, could be of global significance. Regular visitors to this website will know that last year I was involved in a one-year pilot project to look for habitation sites, contemporary with those kurgans (or khirigsuurs as they’re known locally) in the Mongolian Altai – just 30km east of China. We found enough evidence there to suggest that this tough, rugged region may have always been liminal – occupied and deserted by a succession of peoples pulling and pushing from outside regions through the Altai. Now, the Central Asian steppe and mountain ranges are threatened by climate change, just as elsewhere in the world. It’s important for us to research possible reactions to these changes and it has long been my opinion that there is no better way for us to learn than from the past. We hope to carry out more work in the Altai in the future – work which becomes more important with the threat to the Ukok. 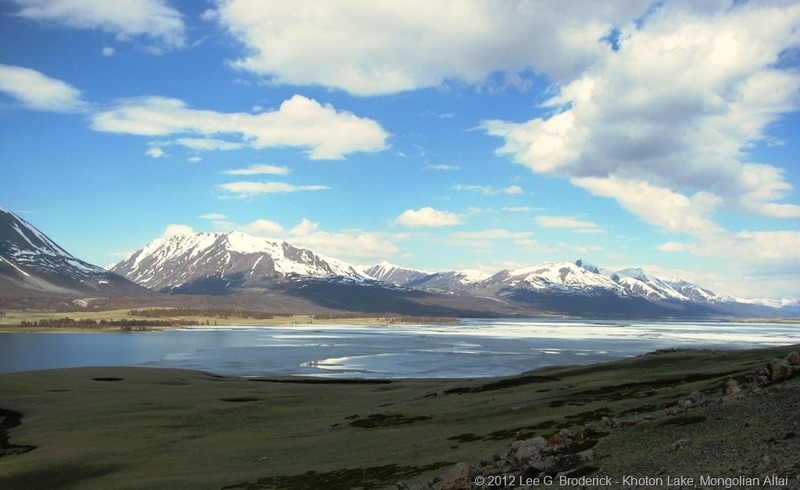 Previously, the same team worked for several years in the Arkhangai mountains, east of the Altai. There, too, we discovered several Bronze and Iron Age habitation sites (Xiongnu there, rather than Pazyryk) and we established that cultural changes occurred within a stable environment but that other changes, arguably more drastic, occurred at the end of the Xiongnu period, when the climate changed. By studying past responses to climate change – and, as far as possible, the causes of those changes – we can learn what might work or not work in the future. By studying those changes on a local basis we can suggest local responses. There’s much that we could learn from the Ukok as well as preserve. I’ll be co-presenting a paper with Oula Seitsonen and Jean-Luc Houle on the Arkhangai research mentioned above (carried out in the Khanuy valley) at the AEA conference in Kiel later this year, using zooarchaeological and palynological evidence to explore cultural responses to environmental conditions.